Food4families training base is in the garden at South Reading New Directions in Whitley. 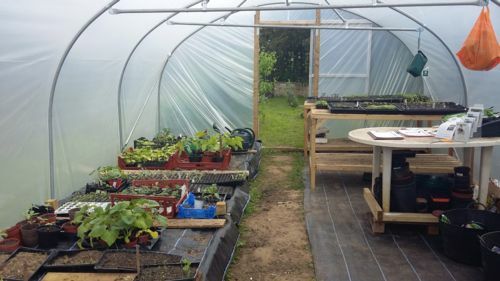 It consists of: a poly-tunnel where we grow plug plants that are used in the F4F gardens, veg patches and taster sessions. 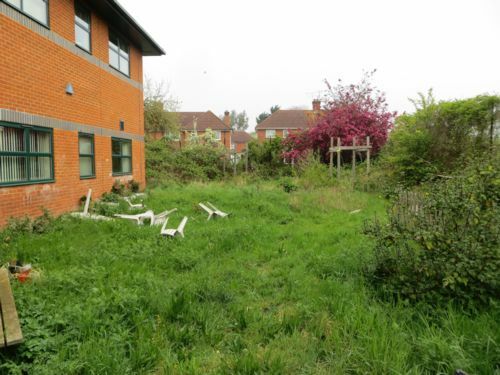 The garden is maintained by students from John Madjeski Academy and a small team of volunteers lead by F4F tutors. The land before the Food4Families training base was estabilshed. 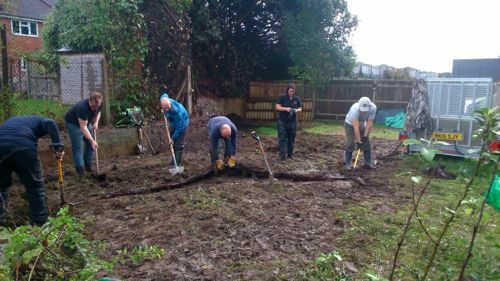 Clearing the land in prepartion for the polytunnel where seedlings can be grown over winter. Inside the polytunnel where seedlings ar growing ready to be planted out in various locations around Reading. 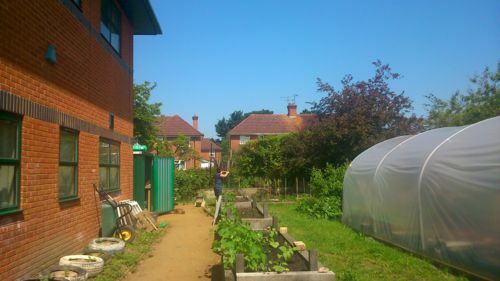 The Food4Families training base on a summer day!